WordCamp Phoenix has a reputation for being a great event. 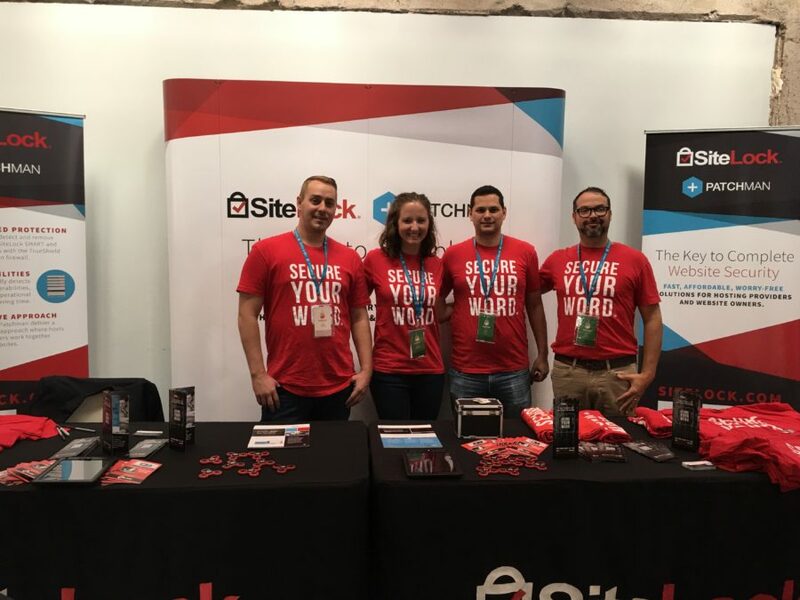 And lucky for SiteLock, it was close to our headquarters in Scottsdale, allowing more of the SiteLock team to attend than usual, many of them first-time WordCampers! As someone who works remotely and travels often, this event was especially fruitful for me because it meant I could spend some quality time with our entire team, many of whom I’ve never met in person due to our rapid growth. Most WordCamps start with a speaker/sponsor event the evening before the camp, and WordCamp Phoenix was no different. 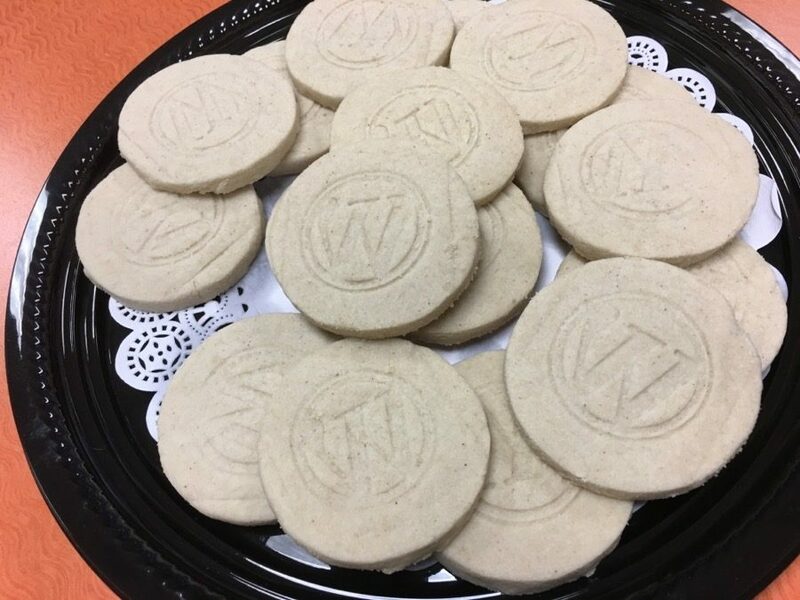 Held at the Bluehost offices in Tempe, this event was the perfect way for sponsors and speakers to connect with each other and organizers to ensure a smooth weekend of WordPress learning. The event location was different than last year and proved to be a great space. The entire organizing team did an excellent job communicating what to expect and getting attendees excited and eager to learn before the first sessions started. Most of the time you’ll see two or three tracks of sessions on the schedule, but this year organizers opted for a single track event. I’m always curious to see how single track schedules are received by attendees, and come to find out, people enjoyed it! I think the biggest benefit to single track events is that attendees are exposed to a subject matter they may not have otherwise chosen, and I find that this typically sparks new ideas and opportunities for growth. Shawn Pfunder is the Senior Communications Director at GoDaddy and it’s obvious why. 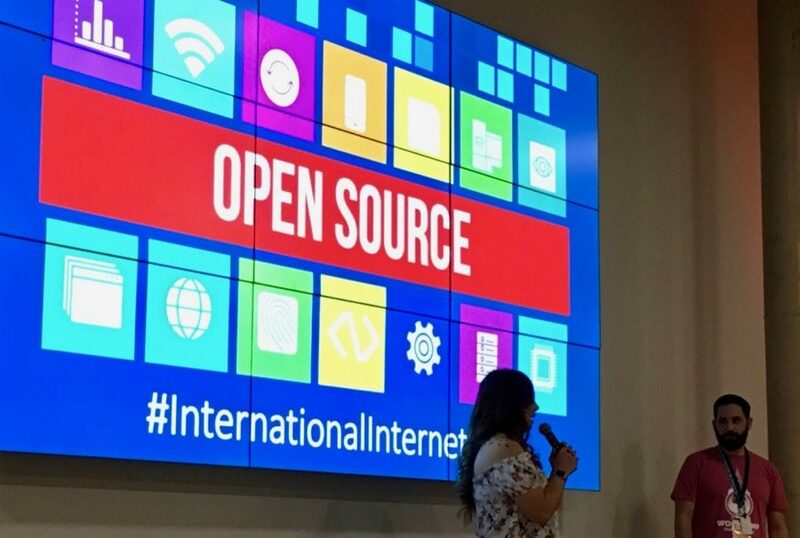 He’s a natural storyteller and weaved his way through what seemed like a subject unrelated to WordPress, and expertly inspired the crowd to get creative with their problem-solving and apply that to their web development projects. This session was all about learning how to manage release cycles, testing backward compatibility, beta versions, releases, and support. 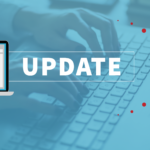 Rachel Cherry, Carl Alexander, Chris Klosowski and Oscar Gomez did an excellent job breaking down complex processes for experienced and novice WordPress users alike. We’ve mentioned Aaron Campbell more than once here on The District. 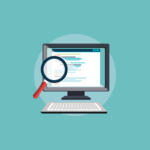 He’s the WordPress.org security lead and has first-hand knowledge about what it means to secure a website. 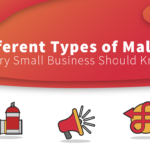 His session was informative and also very entertaining as he took a Mythbusters approach to “Confirm” or “Busted” whether or not certain factors or variables make a website more secure. Organizers did an excellent job with the sponsor area by making sure we had a steady flow of attendee traffic. This was accomplished by putting our tables between the session and breakout rooms and also having refreshments right next to us. 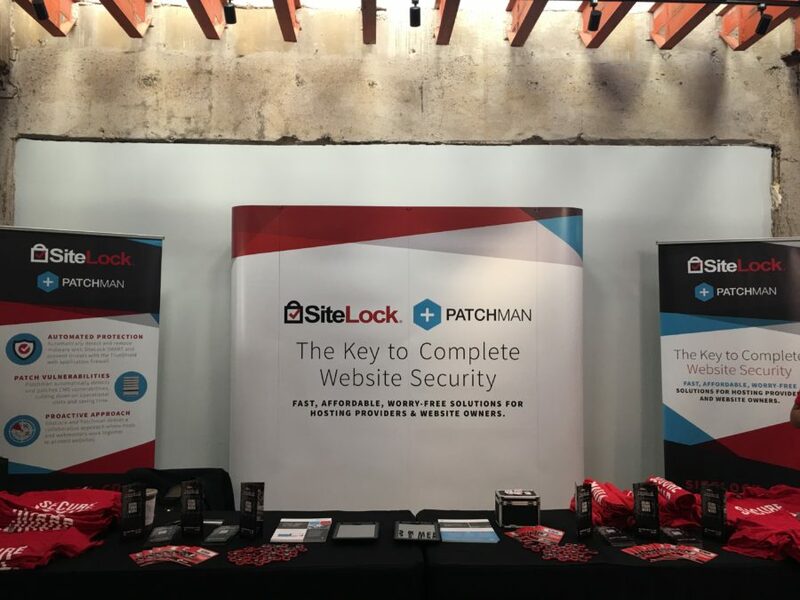 We had many engaging conversations about our malware scanning/removal, WAF, and CDN services and also about our personal experiences with WordPress. 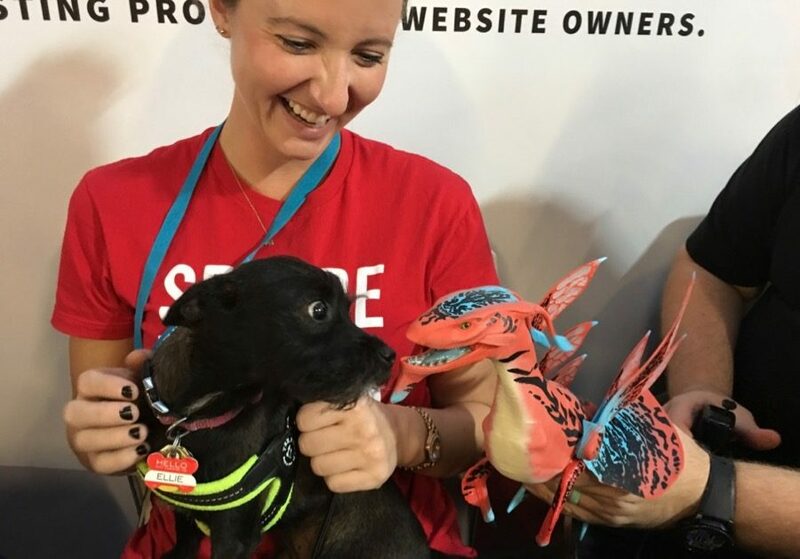 Ellie also met Boldie the BoldGrid Banshee, although I’m not quite sure how she felt about that! Speaking of BoldGrid, their open source community evangelist Mike Demo gave a great talk about how users of platforms like WordPress, Joomla, Drupal can benefit from purposefully getting outside the bubble of their own communities and paying attention to what happens in others. It was the last session of the day and a perfect backdrop for the camp’s closing remarks. We always like to do a little something extra for attendees, especially at a camp on our home turf. 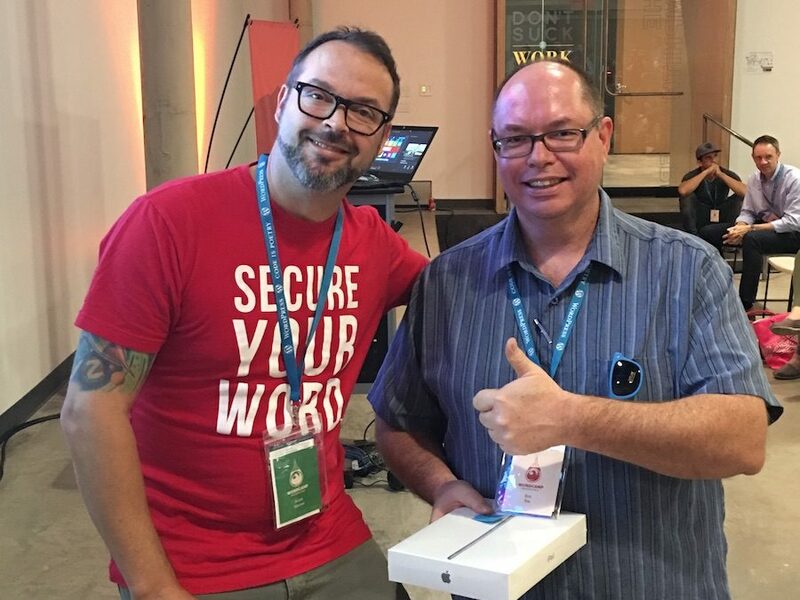 We raffled off an iPad and the lucky winner was Eric Fox. 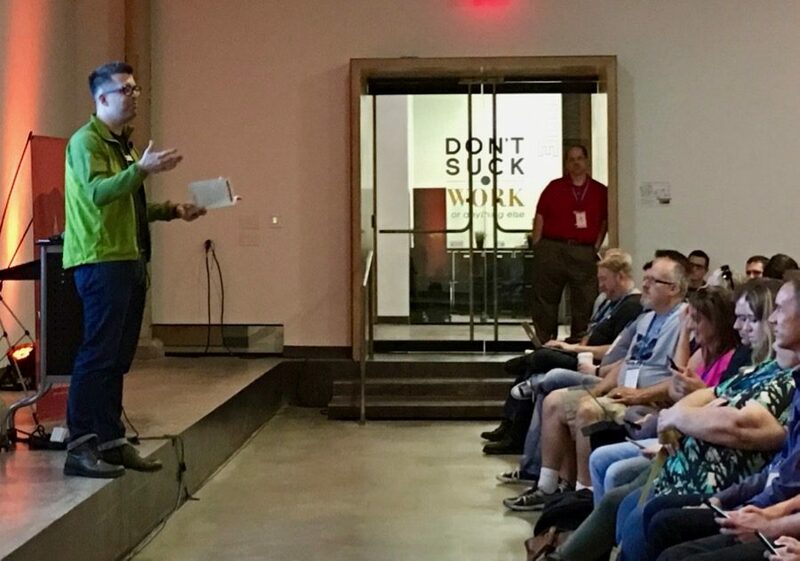 By all accounts, WordCamp Phoenix was a great event for attendees, speakers, and sponsors. 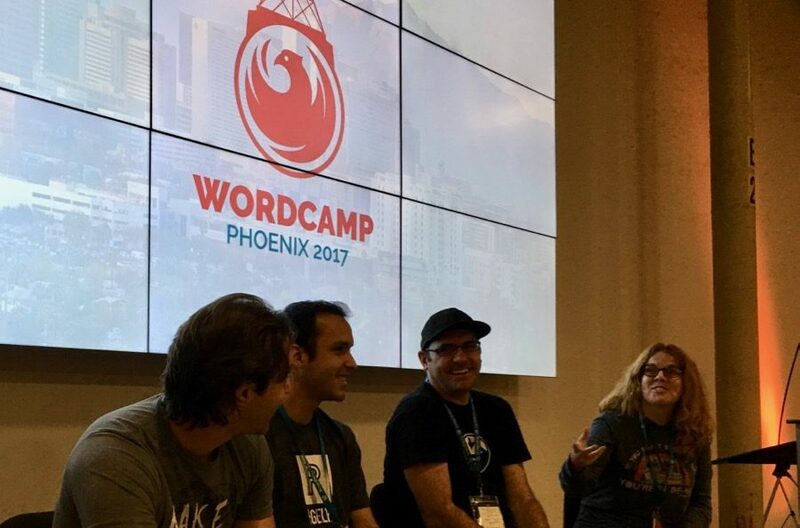 In fact, it was so great that our team will be attending the next WordCamp Phoenix, which is just a short four months away in February. We hope to see you there too! 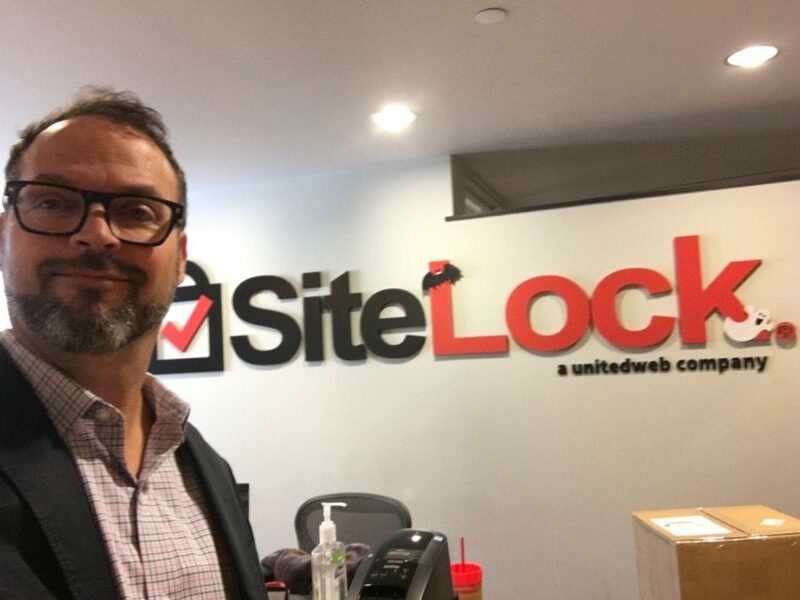 In the meantime, we welcome you to learn more about how SiteLock can help to protect your website and those of your clients.